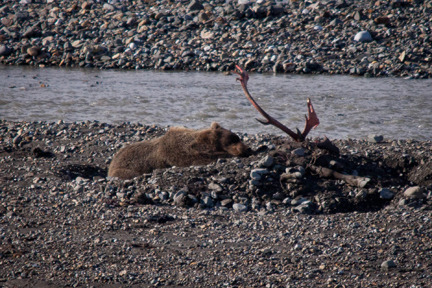 I wanted to revisit the picture I sent last Saturday, I believe of the bear laying on the caribou kill in Denali. 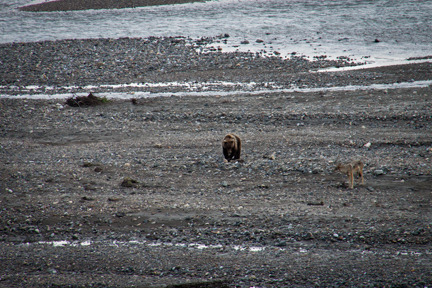 On Sunday, the bear was moving about the river bed away from the carcass. Look at the claws on this bear. 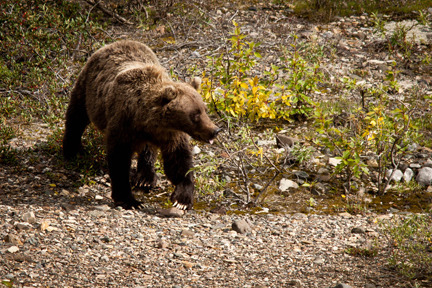 On Monday, we were headed back to camp about 4:30pm when we came up the same kill. First, here is a wolf that wants whatever is left of that caribou for himself/herself. 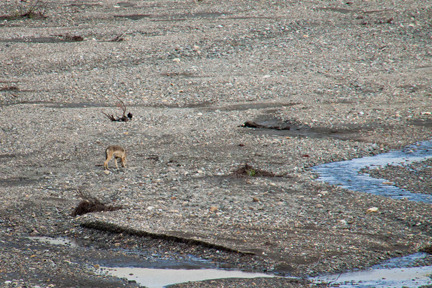 The wolf kind of blends in with the river bed but it’s about a third of the way into the frame on the left near the middle. 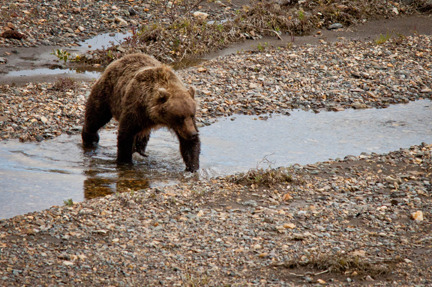 Our bear friend returns to block the access for the wolf. 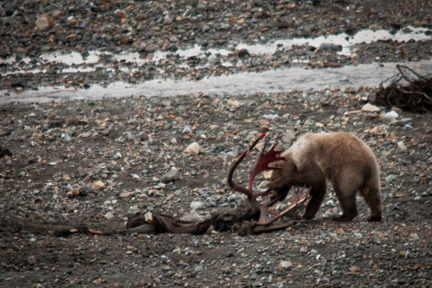 Then he returns to clean off the antlers…. I’m going to post another entry shortly. I am trying to avoid having these cut-off part of my posts.